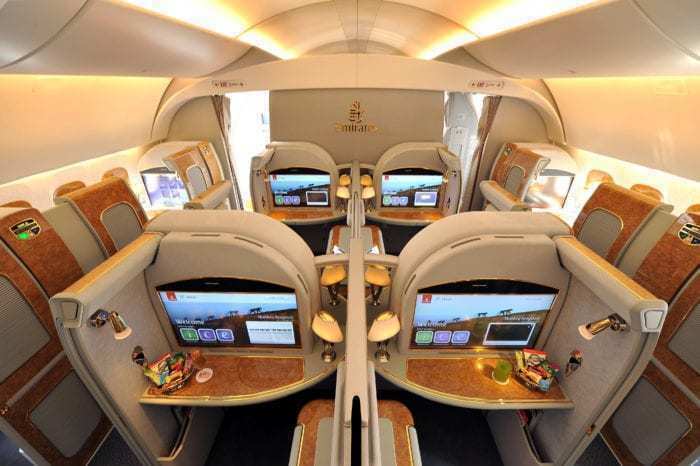 Let’s talk about Emirates Skywards points. This luxury United Arab Emirates carrier based in Dubai, is well known for its high-end service and product. 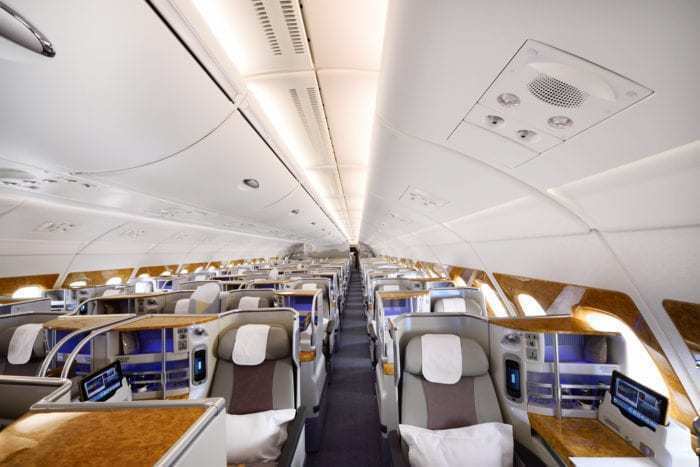 The carrier brings with it an unprecedented high-class experience both on the ground and aboard its aircraft, with its much-coveted first-class seats and the service that comes along with. 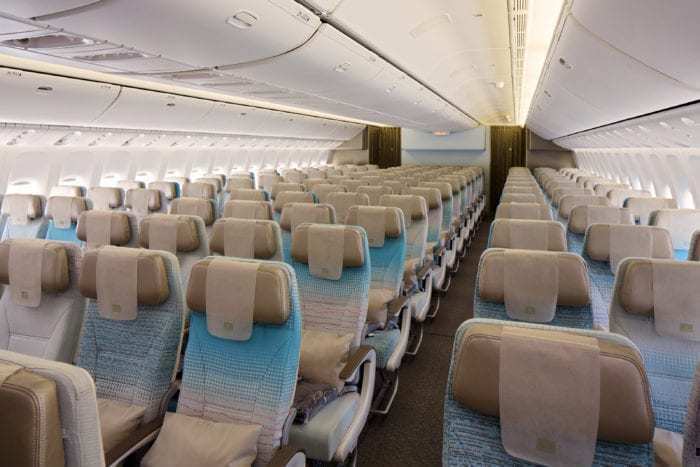 Of course, buying your way into one of these seats outright is sometimes out of the question for people who don’t have tens of thousands to drop on a one-way flight. 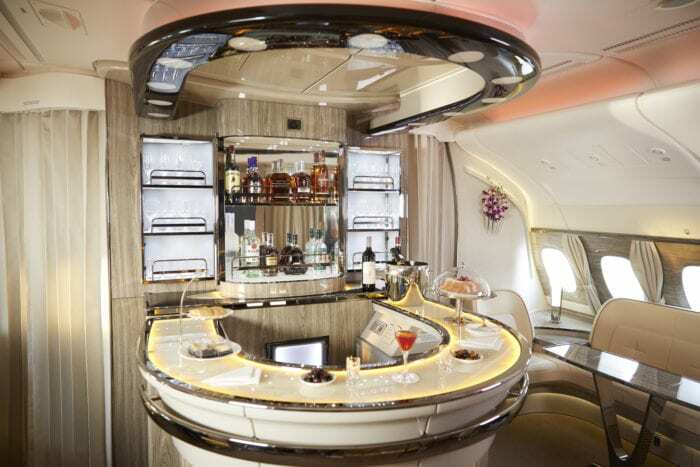 However, with a little miles-earning work, it’s possible to live the life of luxury aboard an Emirates jet, at least for a few hours. The Emirates Skywards loyalty program is attractive for this reason, and you don’t even have to fly within the Middle East in order to earn with the program. Keep reading to find out how you can get started with Emirates Skywards and how to make the most of the loyalty program. Of course, to take advantage of all Emirates’ luxury, you’ll want to earn your way into the Emirates Skywards elite status program. There are four different membership tiers within Skywards. These include Blue, Silver, Gold and Platinum. Once you sign up for Skywards, you can move up through the tiers by collecting tier miles when you fly Emirates or flydubai, or by completing a number of Emirates or flydubai flights. Once you receive your new tier, you stay at that tier for 14 months, at which point you must re-earn your tier again. You will automatically enjoy Blue status as soon as you sign up. To earn Silver, you must fly 25 qualifying flights over 13 months, or earn 25,000 tier miles. To earn Gold, you have to fly 50,000 miles or take 50 flights over that same time period. For Platinum, you need 150,000 tier miles. There is no number of flights that you can take to earn Platinum. You must get the 150,000 total tier miles. Additionally, there’s another by-invitation-only status you can earn, but the details are kept under lock and key and privy to only those that have earned this reward. There are many different ways that you can go about earning your Skywards miles. It’s very easy to earn miles through flying either with Emirates or with flydubai. Miles you earn with these airlines are determined via your route, fare, class of travel and your membership tier. Routes are split into Skywards zones, and fares can range between Special, Saver, Flex or Flex Plus. You also earn up to a 175% bonus for flying first or business class. Additionally, Silver members receive a 25% earning bonus; Gold members receive a 50% earning bonus and Platinum members a 75% earning bonus. You have the opportunity to earn Skywards miles not only when you fly on Emirates or flydubai, but also when your family flies on either airline. Emirates Skywards My Family pools your family members’ miles, up to eight travelers that are related (this includes spouses, domestic partners, step-parents, in-laws and children). You can designate how much of your miles are pooled, in case you don’t want to pool all your miles. Skywards has many partner airlines (though not as many as some other airlines and loyalty programs) that you can earn with, all over the world, so there are lots of options to earn, regardless of where you live and where you travel to most. There’s no need to fly Emirates or flydubai, or even in the Middle East. The earning rate differs for each partner. Air Mauritius and Korean Air give you up to 2 miles per mile flown. Alaska Airlines, GOL, Japan Airlines, Qantas, South African Airways, TAP Portugal and Malaysia Airlines give you up to 1.5 miles per mile flown. Jetstar and S7 Airlines give you up to 1.25 miles per mile flown. 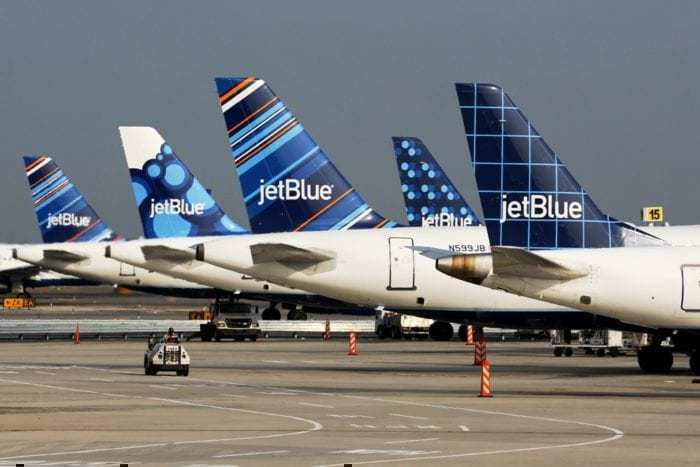 JetBlue gives you up to 1 mile per mile flown. However, for each of these, the exact amount you earn differs, as does when you’re able to earn miles. You’ll want to confirm the miles-earning opportunity with an airline rep when you book. When doing so, make sure you have your fare class handy, as well as all information for your Emirates Skywards membership. You can also earn miles via booking.com, 1 mile for every Euro spent, and Rocketmiles, up to 10,000 miles per night. How do these partners’ earning potential break down? Earn 1 mile per $1 spent at Vida, Address, One&Only, Jumeirah and Atlantis. Earn 500 miles per stay at Traders, Tivoli, Shangri-La, Rotana, IHG, Hyatt, AVANI and Anantara. You’ll earn 3 miles per $1 spent at Hospitality Management Holding properties. Then, you can earn 5 miles per every AUD spent at Crown Hotels. 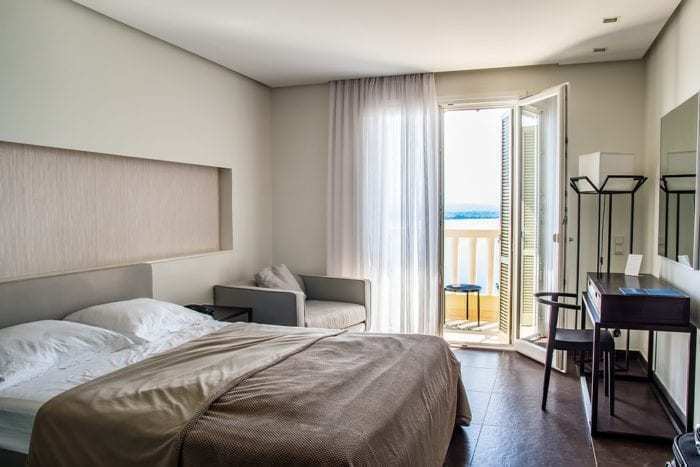 While you can’t earn miles with AccorHotels or Hilton, you can convert those loyalty program points into Skywards miles. Convert 4,000 Le Club AccorHotels points into 2,000 miles. Convert 10,000 Hilton Honors points into 1,000 miles. The only option for credit card earning for US travelers is to earn with an American Express, Capital One or Marriott Bonvoy card, and then transfer your points earned to Skywards. American Express Membership Rewards points convert to Skywards mile at a ratio of 1:1. Marriott Bonvoy points convert at a ratio of 3:1. Plus, if you convert 60,000 Marriott points at once, you get 5,000 bonus miles. Capital One miles transfer to Skywards miles at a 2:1 ratio; you just need to ensure that you have a Capital One card (Capital One® VentureOne® Rewards Credit Card) that allows you to earn and transfer miles, like the Capital One VentureOne Rewards card. Other credit cards are available to travelers in other countries, such as the Emirates Citi World Mastercard in Australia, and the Skywards Infinite card for those who live in the Middle East. In order to redeem your Skywards miles, you must use the Emirates miles calculator to price out specific routes. Routes are priced according to zones. Note that the United States is split into two zones, east and west. Additionally, like some other airlines, Emirates does charge fees and surcharges for award flights, sometimes making an award flight a bad budgetary choice. Emirates classic award flights start at 15,000 miles round-trip, but you can get better deals when you book one-way or when you find a Saver or Flex Plus fare that works for you. You can also use a combination of miles and cash to book an award flight (though sometimes it’s not a better deal). In addition to booking award flights, you can also use your miles for upgrades, from 9,000 miles and up. Depending on your fare, you must upgrade within a specific time window. 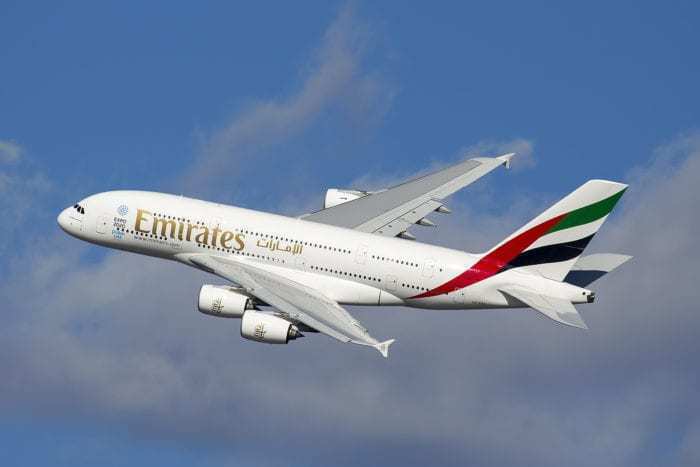 You can redeem your miles with any of the Emirates partner airlines. The Emirates Skywards loyalty program gives you a lot of options for earning and spending miles, with many of the brands available to travelers around the world. Plus, with the partnerships with American Express, Marriott and Capital One, you can earn miles with your everyday spending, without worrying about a loyalty to a certain brand. Then, when it comes time to redeem, you can either splurge for one of those beautiful Emirates first-class seats, or you can go on to investigate some of the good deals worth finding with some of Emirates’ partners.